It’s been several months since we looked at a Ferrari vehicle in one of these spotlights, and while it will be hard to top the LaFerrari we covered in September, we think this 2012 Ferrari California that is currently for sale here in North Miami Beach FL makes a pretty fantastic exotic, high-performance option. The Ferrari California is a 2-door coupe sports car packed with great content and a powerful punch ready to deliver an exhilarating experience each time you get behind the wheel. 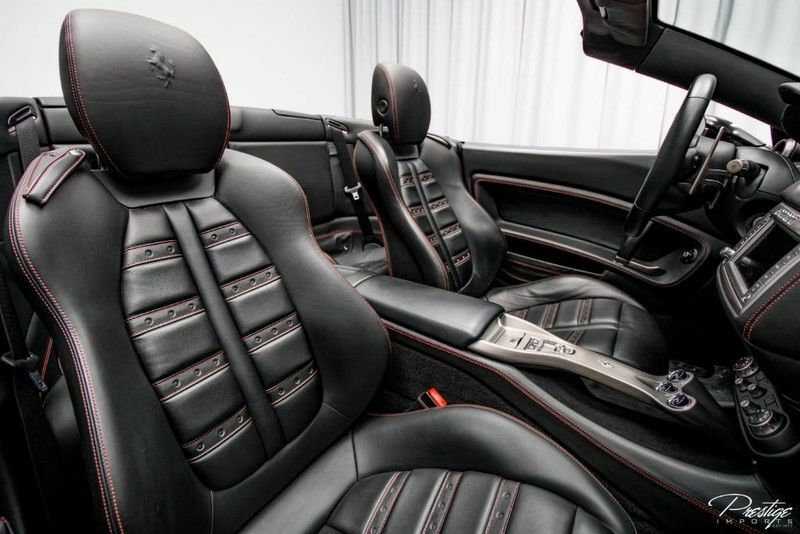 Some of the premium features that are found in this Ferrari California include rain & speed-sensitive intermitted windshield wipers, high-intensity projector beam headlights, 19” silver aluminum wheels, heated and powered exterior mirrors, illuminated entry, dual-zone climate control, and an outstanding infotainment system that features AM/FM radio, an in-dash CD & DVD player with MP3 playback and 30GB of hard drive, auxiliary input, satellite radio compatibility, 7 speakers, a 6.5” screen, USB port, and Bluetooth connectivity. As for performance features, the California comes equipped with Brembo ceramic disc brakes, a double-wishbone suspension system up front, rear-wheel drive, speed-sensitive power rack-and-pinion steering, multi-link rear suspension in back, a 7-speed automatic transmission with manual sequential sport shift and F1-style paddle shifters, stabilizer bars, and much more. 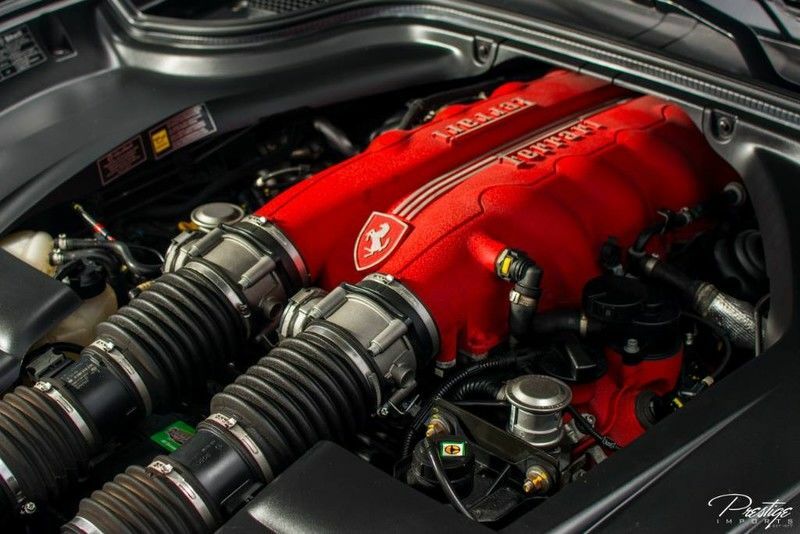 Of course, at the center of it all, is its 4.3L V8 engine, capable of doling out 453 horsepower and hitting 60 miles per hour in 4 seconds flat. 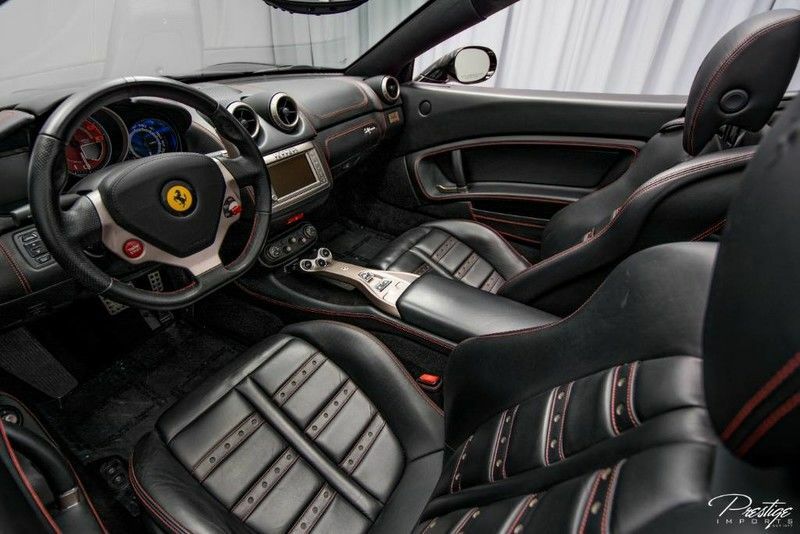 If you’re interested in this incredible 2012 Ferrari California, or any of the other Ferrari vehicles in our inventory for that matter, be sure to get in touch with us right here at Prestige Imports at your earliest convenience. We can’t wait to get you in the driver’s seat! This entry was posted on Monday, February 26th, 2018 at 9:09 pm	and is filed under Ferrari. You can follow any responses to this entry through the RSS 2.0 feed. You can skip to the end and leave a response. Pinging is currently not allowed.